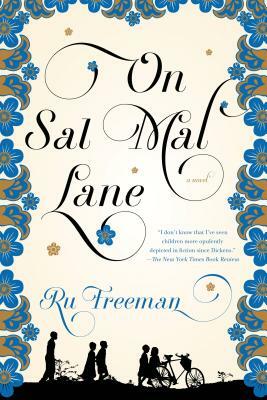 Sri Lanka-born writer Ru Freeman's stirring second novel drew comparisons with Dickens (!) for its vivid portrayal of children as central characters in this moving story of a small village-like lane about to enter the violence and turmoil of civil war. This story of various ethnicities and classes, centered around its children, but including adults, is one of how the world is engaged and learned about - including a world with harsh lessons to teach. Joys and sorrows abound - there is humor, music, quests of heart - and there is what comes to this lane from the larger world. The ending will break - and make - your heart. Ru Freeman is the author of A Disobedient Girl. She is an activist and journalist whose work appears internationally. She calls both Sri Lanka and America home. “Freeman's powerful second novel focuses on ordinary children living their lives as war clouds build.” —People, "Great Reads"
“[Freeman's] individual characters are nuanced and richly written--you wish you could just stay on their peaceful lane forever, but of course you can't, and neither can they.” —Oprah.com, "Book of the Week"